When it comes time for your small business to expand and improve, it is important to begin seeking the most qualified individuals in your field. Hiring a team of competent professionals should be a top priority for any expanding entrepreneurs. From higher productivity to lower turnover, the benefits of bringing in qualified individuals cannot be contested. Professional Employer Organizations (PEOs) are organizations that provide integrated human resources and payroll benefits to give small companies the advantages of their bigger counterparts. The Medical Link is proud to be a top PEO for New York companies, delivering quality PEO services that aim to streamline operations and let you focus on the more important aspects of your business. Today, we’ll look at the practice of using our comprehensive administrative support to leverage for higher quality prospects for employment. The Medical Link is here to help your business succeed! Health insurance seems to follow its own rules when it comes to skyrocketing medical costs. The demand for bigger and better medical facilities also equates to larger medical bills that need to be paid. This concerning trend means that potential employees will be looking for a career at an establishment that offers quality benefits, from affordable health insurance to reliable retirement planning. Partnering with a professional employer organization means you’ll be on board for their PEO insurance, where the benefits of large company influence come into play. Combining employees means your PEO partner will be able to find and supply better coverage options, typically at better rates. One benefit to bring in top hiring talent is the flexibility you can offer for new employees, from shorter waiting periods for benefits to a provider network that has an established history of helping patients. Employee quality can mean the difference between grasping success and years of struggling. Being able to offer quality coverage at affordable rates can work to bring in much more qualified personnel. PEO HR services are both professional and comprehensive. Many small businesses can benefit from working closely with these experts to design a hiring process that is hand-tailored to bring in the most highly-qualified individuals. The interviewing factor can make or break the hiring of a good employee. It’s important to be able to vet applicants thoroughly while also appearing as a strong, steady force in the industry. Newer businesses have the highest chance of going out of business, meaning that industry rockstars will be unlikely to join your entrepreneurial cause. Now would be a good time to establish a program that can entice prospects to come in for an interview. The early periods of time saved with our New York PEO business will give you some space to finetune the interviewing process. Our HR staff can be very handy for this work, streamlining the interview and training stages to provide you with a promising employee that is on board and ready to work. 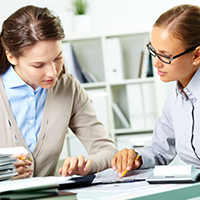 A PEO brings more personnel and power to most small businesses. One positive to utilize for better hiring is the pool of resources that can be used to hone training procedures. Potential and current employees can benefit from these programs that aim to develop and improve industry skills. Implementing a training program that is maximized for quality will do much to bring in better prospective employees as well as improving the skills of your current ones. Figuring out your training resources now can also help to prevent future headaches. The cost of PEO services can be further offset by increased worker productivity. Gone are the days of watching a VHS on a small screen in the janitor closet. 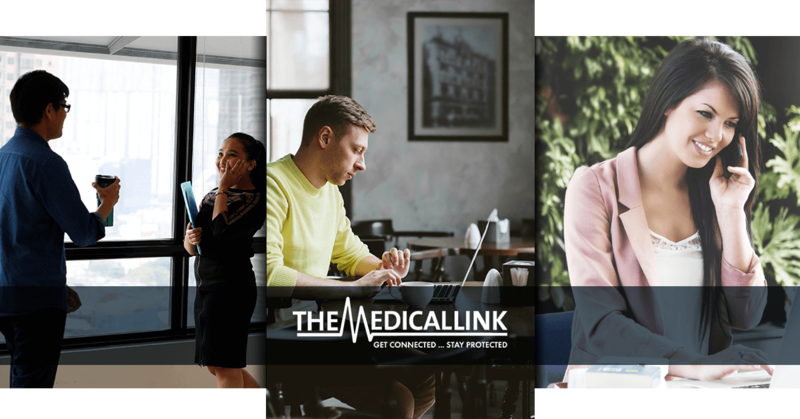 The Medical Link can help you to improve your training to bring an overall boost to your business practices! 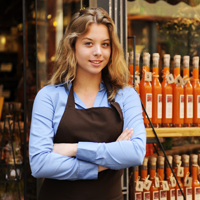 Hiring a quality PEO for your New York establishment can provide a number of benefits. One way that small businesses are making the most out of their PEO partnership is using its inherent positives to reach out to professionals in the field for employment. Keeping the quality of hires in your company high can be conducive for attaining long-term success during such a hectic phase of your operations. If you are considering joining a PEO to give your small business the benefits afforded to Fortune 500 companies, we can help. Contact us now to learn more!